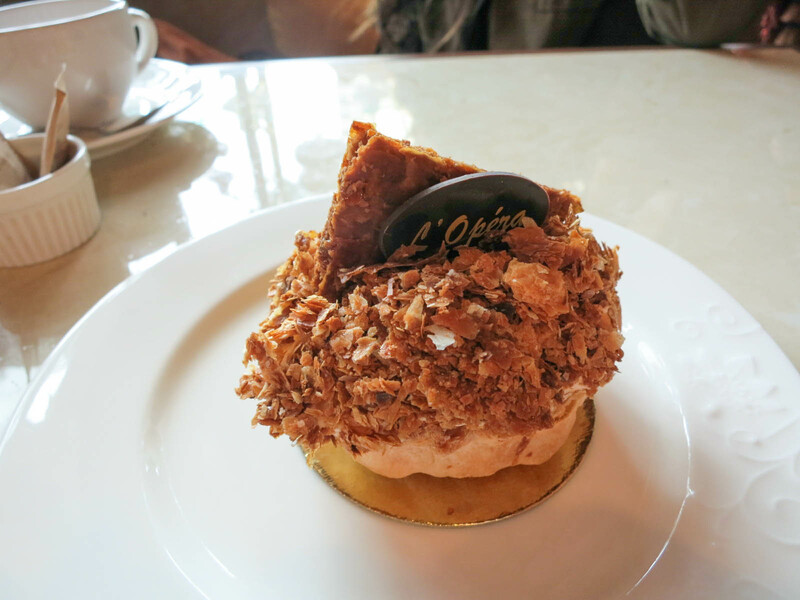 L’Opera is a tiny tea and French pastry shop located in Richmond. They serve high tea here, but you can also buy individual pastries and drinks. The inside has a cozy and cute atmosphere that is perfect for high tea, although their seating is pretty limited. I came out to Richmond for a day of eating with Kirsty from Eating with Kirby and Curtis from Foodobyte and we came here for some pre-dinner tea and sweets. 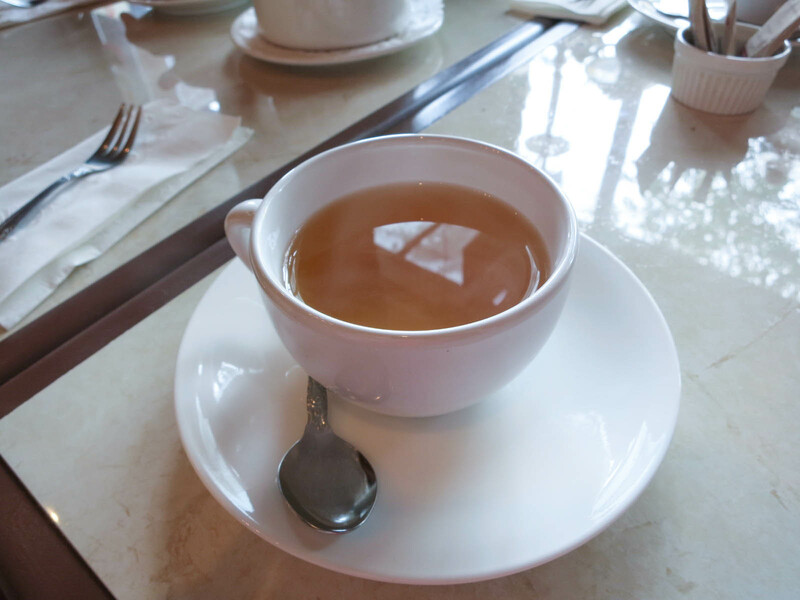 We shared a pot of their empress tea, which was a simple Chinese black tea. I enjoyed this tea because it wasn’t too strong and I think the mild flavour went well with the desserts. 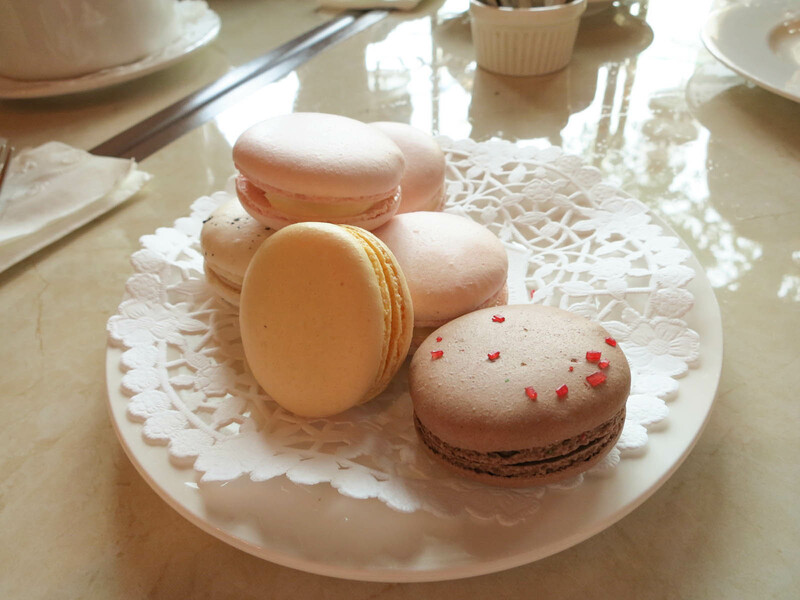 We sampled a few different types of their macarons. They don’t use artificial flavours for their macarons, so the flavours taste bright and pure. The macarons were pretty and had a nice texture, but they were served slightly cold and I wish they had been room temperature. We also all shared a banana cake (I forget the French name for it). This dessert was amazing. The bottom is made with flakey buttery layers of puff pastry and it was filled with ripe sweet bananas and a rich, luxurious, cream filling. I tend to avoid banana desserts because I hate artificial banana flavours, but they used real bananas, so it was very tasty. L’Opera is a cute little shop that is worth checking out. I live so far away, so I probably wouldn’t make a trip back out to it, but if you live in the area, it is a cute neighbourhood gem. Yes, for a cute tea and pastry shop.